Join TMAC Toronto and a panel of senior professionals as we discuss bank relationship management and effective ways to build collaborative partnerships with core banks and secondary partners. Panelists will also explore the process of loan refinancing, accessing capital markets for the first time, how to prepare for these periodic events and discuss current market dynamics and trends that may impact you. If the negotiation of credit agreements is new for you, we will outline the key internal and external parties that you should include in the end-to-end financing process and what may have changed over time. Lastly, panelists will look forward and provide insight into what they expect may be the next form of debt financing, what will present the greatest challenges for practitioners and how you can prepare for those possibilities. Don't miss this chance to network with industry peers and gain up-to-date perspectives on this important area of finance. 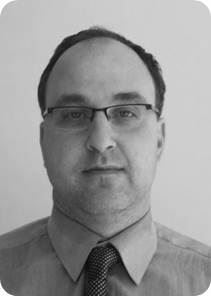 MARK NASH (Canadian Tire): Mark is a CPA, CA with many years of Treasury and Tax experience. He was a Principal in the Tax group of PricewaterhouseCoopers before working in Canadian Tire’s Tax and Treasury groups for four years. In 2000, he joined 724 Solutions Inc. as Treasurer, and later worked as a consultant on corporate finance and treasury related projects with a number of different public companies. He re-joined Canadian Tire in 2009 and has been a champion of financial flexibility, including playing instrumental roles in the creation of CT REIT, the credit side of the Scotiabank partnership, and all bank and capital market funding initiatives. RICK ALBERT (Treasury Professional): Rick has served as Vice President and Treasurer of SunOpta Inc., overseeing all Treasury activities including cash management, FX + interest rate risk management and capital markets financing. He led multiple financing efforts, including equity and debt for a transformational acquisition in 2015. He previously served as Vice President and Treasurer for Biovail Corporation, which merged with Valeant Pharmaceuticals. Before that, Rick held the senior Treasury roles within two of the premier global auto parts suppliers in Canada. Rick is a graduate of the University of Toronto and holds an Honours B.A. in Commerce and Economics. Rick was also a member of the Canadian Men’s Field Hockey Team and participated at the 1988 Summer Olympics in Seoul South Korea. SAMIN ATIQUE (MUFG Bank): Samin is a Managing Director at MUFG Bank Canada, where he is responsible for client coverage across the broader Industrial, Technology, Consumer and Retail clients. 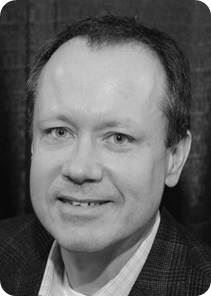 He has over 15 years of experience of managing global client relationships in North America. Prior to joining MUFG, he spent a number of years at JPMorgan and Citi working in New York and Toronto respectively where he was part of the Corporate and Investment Banking platform providing a full suite of corporate finance solutions to clients. He also has emerging market experience, having worked for financial institutions across Asia and the Middle East prior to his MBA (Richard Ivey School of Business, U of Western). IAN BINNIE (Blake's): Ian's practice encompasses a broad range of business law matters, with a focus on financing transactions and financial regulatory matters. 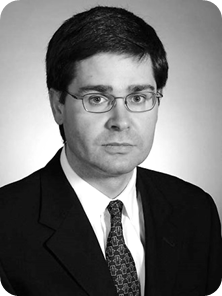 He has extensive experience in all aspects of commercial finance, both domestically and internationally, including public and private debt issuances, project finance (primarily in the power generation industry), bilateral and syndicated lending, asset-based lending, private equity, second lien and other forms of subordinated lending, securitization and derivative transactions.